Below you’ll find some general information about our panels as well as a panel mounting height diagram. For details on Absorption and Output, please visit our Heating Output page for heating outputs or alternatively our Cooling Output page for you guessed it, cooling outputs. 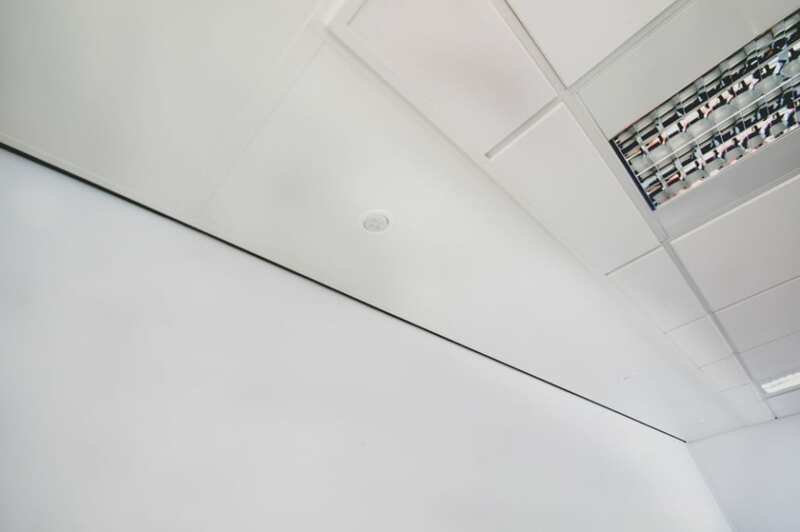 To help you with your project, we’ve created a useful calculation tool relating to Solray’s ceiling panel emissions. Click here to download our new and improved Radiant Panel Emissions Model and Sizing Tool. The table below can be used as a guide to help develop your design with optimum user comfort in mind. If you require any detailed assistance, please contact our UK based design team on 01792 89 22 11. Why do we have recommended mounting heights? The building occupant is one of our main priorities from a design perspective. When a panel is mounted at a lower mounting height, occupants, especially those who are sedentary for extended periods of time can feel some discomfort, much like you might feel when sat right next to a radiator. Discomfort levels differ from person to person which is why we recommend the mounting heights as a minimum. The Minimum recommended flow rates through 15mm copper tubes is 0·012 kg/s to ensure turbulent flow and guarantee our outputs. Minimum flow rates for individual panels can be supplied with our schedules upon request. If you’d like advice on sizing or additional data relating to outputs, please contact our UK based design team on 01792 89 22 11.